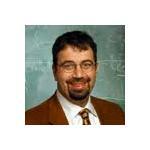 Daron Acemoglu is Elizabeth and James Killian Professor of Economics at the Massachusetts Institute of Technology. He is among the 10 most cited economists in the world and the winner of the 2005 John Bates Clark Medal. His principal interests are political economy, development economics, economic growth, technology, income and wage inequality, human capital and training, and labor economics. His most recent works concentrate on the role of institutions in economic development and political economy. He was a lecturer in economics at the LSE from 1992-1993, before becoming a member of the M.I.T. faculty in 1993. He was promoted to full professor in 2000, and was named the Charles P. Kindleberger Professor of Applied Economics in 2004. He is a member of the Economic Growth program of the Canadian Institute of Advanced Research. He is also affiliated with the National Bureau of Economic Research, Center for Economic Performance, International Growth Centre, and Centre for Economic Policy Research. Acemoglu is the co-editor of Econometrica, Review of Economics and Statistics, and associate editor of the Journal of Economic Growth, and an editorial committee board member of the Annual Review of Economics. He was elected a Fellow of the American Academy of Arts and Sciences in 2006. Daron Acemoglu was the keynote speaker at the EcoMod2015 conference which took place at the Boston College.